Bruce Springsteen and the E Street Band have just announced 15 US tour dates for 2014, kicking things off in Cincinnati on April 8th. The tour will focus mostly on the eastern US, with a stop in New Orleans for Jazz Fest on March 3rd. 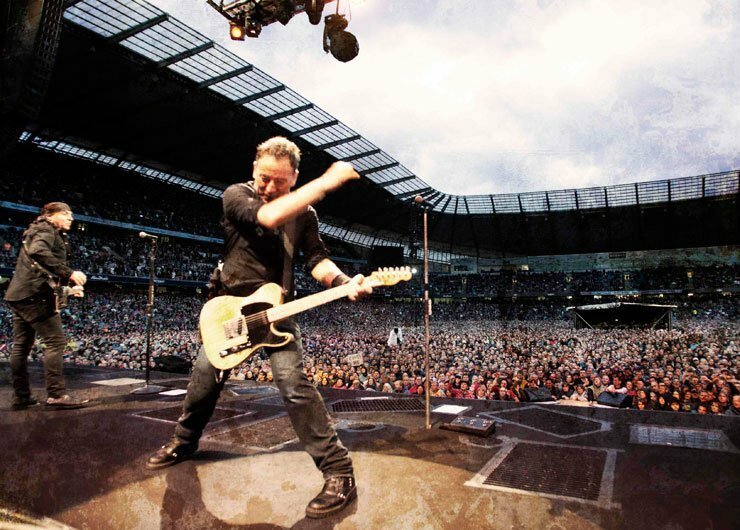 The Boss is currently on tour in Australia, joined by Rage Against The Machine's Tom Morello, who was filling in for Steven Van Zandt on guitar when Van Zandt was in Norway filming his new show, Lilyhammer. No word yet whether Steven will be in attendance for any of the US dates, but he spoke to Rolling Stone, saying "I told [Bruce] I was going to miss five weeks of work to go to South Africa and Australia. But then I'll have to go back to Norway and work through June. If there are other E Street shows, I may have to miss a few and catch up with them in July." Van Zandt will, however, be in the states when the band is inducted to the Rock and Roll Hall of Fame on April 10th, so some fans may get lucky. Tickets for the shows go on sale as early as February 14th. Ticket pre-sale information has not yet been released, but stay tuned to Zumic for more and see below to find out when general on-sale starts for your city. Once on sale, all tickets will be available via Ticketmaster. For more news, music, and videos, check out Bruce Springsteen's Zumic artist page.